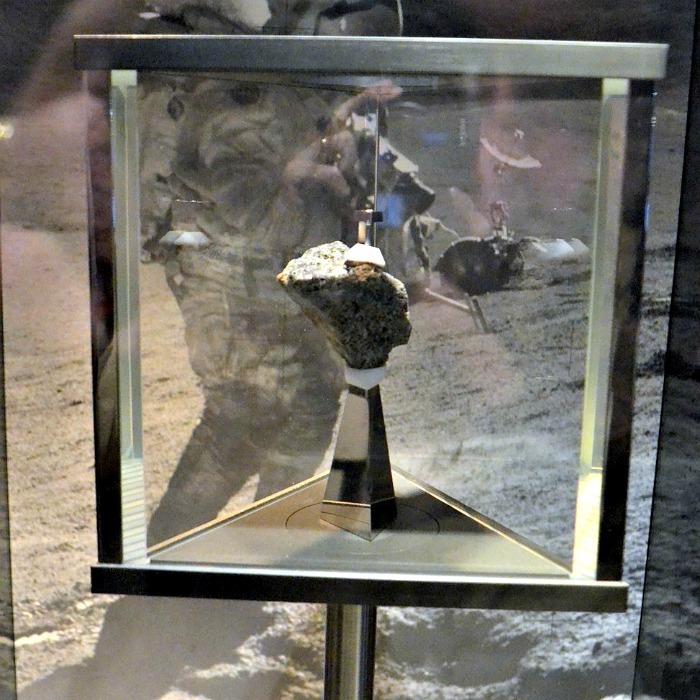 I wish I could touch a moon rock! That's what my 4 year old told me one day. She was obsessed with all things space, since she was about 3. We read books and played pretend, but she wanted to see something "real". And then I remembered about a little hidden gem of Silicon Valley - NASA Ames Exploration Center. Disclosure: I am an Amazon associate, and this post contains Amazon affiliate links. Everyone loves "free", especially families with multiple children who might find cost of visiting other museums somewhat prohibitive. In comparison to other museums of Bay Area, Ames Center is tiny, but that's what makes it perfect for younger children with short attention spans. Many museums of Bay Area are crowded with tourists and locals on weekends, but this museum is reasonably empty despite its small size allowing easy access to exhibits. Ames has a real Moon rock on display, and Smarty was excited to see it. Alas, she could not touch it. As far as I know, the only place where you can touch a rock from the Moon is National Air & Space Museum in Washington, and I vaguely remember waiting in a long line to do that when I visited that museum years ago. Maybe one day Smarty will fulfill her wish when we go to Washington, DC. To be fair, Ames center is rather "print heavy" when it comes to exhibits - with many photos, posters and rather lengthy explanations. 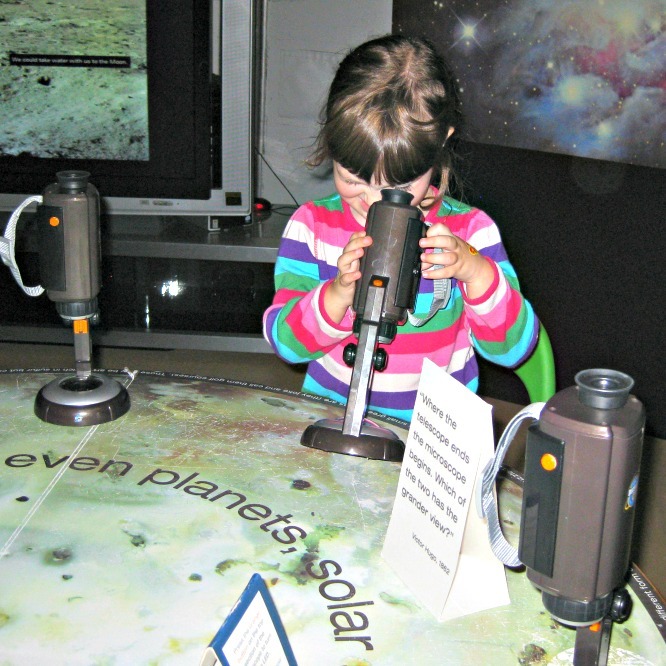 Even though my preschooler could already read when we visited this museum, she wanted nothing to do with that, but she enjoyed hands-on exhibits, including microscopes and trying on space gloves that scientists use in the labs to handle objects brought from space. Usually we do not get tempted by knick-knacks, but Smarty begged us to get astronaut freeze dry ice cream. Yes, you can also buy it on Amazon, but I suppose it tastes better when it comes "almost" from space. Your kids will enjoy posing as astronauts. Who knows? 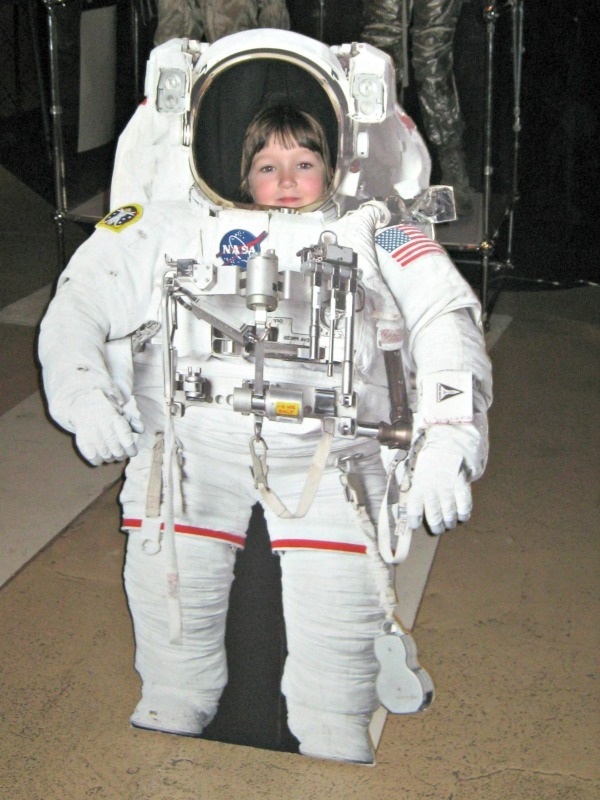 Maybe one day my daughter will don a real spacesuit to fulfill her wish to explore space for real! 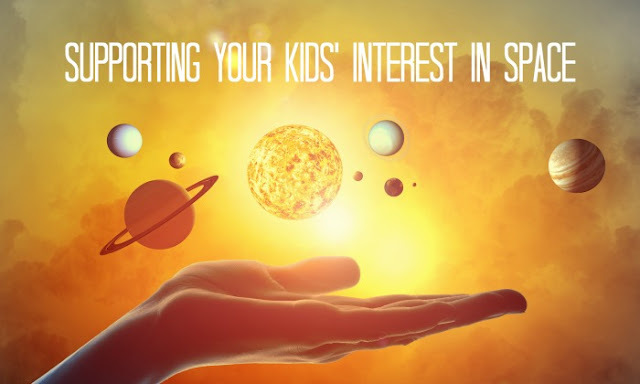 Need more ideas of how to keep up your kids' interest in space? Check out this post on Planet Smarty Pants and follow my Astronomy for Kids Pinterest board.